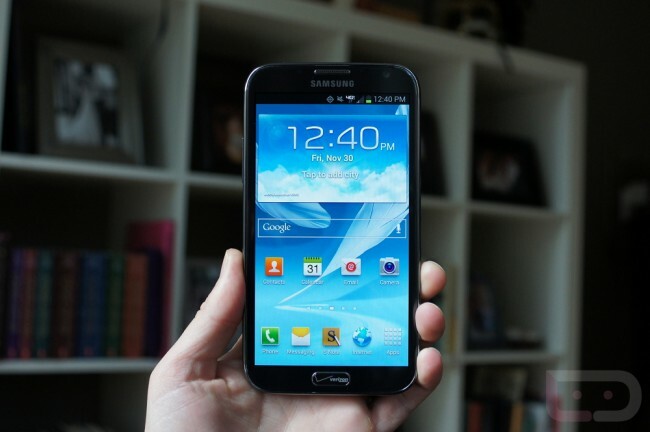 Samsung Galaxy Note 3 to Incorporate Massive 6.3″ Display? Consumers are finally getting used to working their 5.5″ Galaxy Note 2 device, but rumors are already out concerning Samsung’s next Note iteration. In a move that may or may not shock you, Samsung is rumored to be doing it BIG next year. In fact, according to Korea Times, the Galaxy Note 3 will reportedly feature a giant 6.3″ display, further blurring the line between tablet and phone. If this thing isn’t a “phablet” I don’t know what is. Other than a rumored display size, no other info was given on the Note 3. As for the Galaxy S4, it is reported that Samsung could unveil their next flagship phone at the 2013 MWC, but given they are doing just fine at holding their own events for major product launches, we will have to wait and see. So, our question for you, is 6.3″ just completely ridiculous or could you manage holding that thing up to your face for a call? And at that size, forget abut making calls. What about having it fit in your pocket?